Huai Jiang works in E3’s Distributed Energy Resources (DER) group, where he helps utilities, state agencies, and grid operators prepare for a high renewables future. 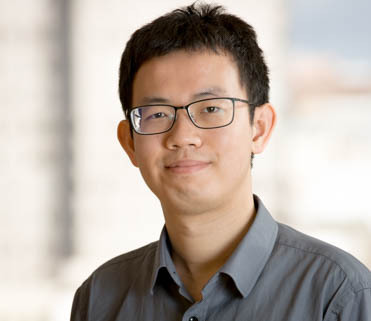 Upon joining E3 in 2017, Huai quickly applied his skills to enhance E3’s Renewable Energy Capacity (RECAP) model: in a project for the Los Angeles Department of Water and Power, California’s largest public utility, Huai devised a method using neural network regression to simulate historical hourly load, yielding better estimates of grid reliability in high renewable energy scenarios. Huai grew up in Beijing, which has some of the worst air pollution in the world, and developed a passion for finding smart ways to mitigate the negative impacts of energy on the environment. He leverages his multidisciplinary training in environmental policy and economics, applied math, statistics, and chemistry to enhance the accuracy and functionality E3’s modelling capabilities. When he’s not working on models, you might find Huai playing ping pong, cooking, or honing his championship-level bridge game.